Traveloscopy Travelblog: Cloud Cruising. Will airships make a return to the skies? Cloud Cruising. 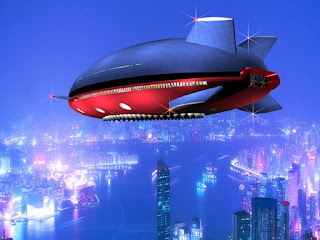 Will airships make a return to the skies? Cloud Cruising. Will airships make a return to the skies? With more and more attention focussed on our lust for fossil fuels, exciting innovations have allowed us to revisit some early 20th Century technology – the mighty airship. 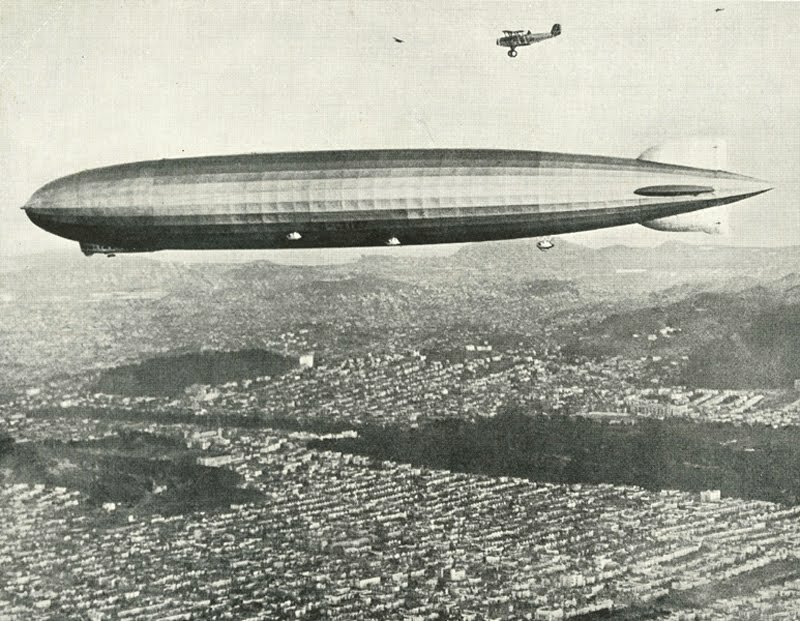 While the disastrous Hindenberg explosion of 1937 effectively ended the glorious reign of the German zeppelins, the latest technology airships use inert helium and exotic material airframes to stay aloft. The modern hull shape is even designed to provide aerodynamic lift to the aircraft. Now while designers are pre-occupied with massive craft to carry freight and mining equipment, the positive offshoot of this promising technology is the revival of that most romantic of luxury air travel, the passenger airship. There is no debate about the massive resurgence in ocean cruising, so it follows that the slow travel formula can just as easily be applied to the air. One alluring project is the so-called 'Manned Cloud", a flying boutique hotel proposed by Frenchman, Jean-Marie Massaud. Environmentally friendly, ultra-luxurious and styled to resemble an airborne whale, it is the equivalent of a luxury private yacht carrying 40 passengers at a speed of 130kmh. It will travel 5000 km (Sydney – Perth) in just 72 hours. In 1927, the only round-the-world zeppelin flight was completed with Australian adventurer, Sir Hubert Wilkins aboard. 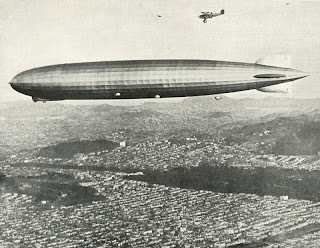 The same airship, LZ127, made 144 ocean crossings carrying 13,110 passengers with a perfect passenger safety record. It seems reasonable that such a feat could easily be replicated with the significantly enhanced technology available today. One obstacle then as it is now is the cost. A one-way ticket across the Atlantic on Hindenberg in 1936 cost $400 – roughly $6000 today – for the 3-day journey. Prices would certainly be similar today, but remember some of the best boutique ships are already charging over $1000/day. On a more cruise ship-like scale is the Aeroscraft, a 200m long behemoth capable of carrying 250 passengers from Sydney to Singapore at 280kmh in hotel comfort. The beauty of the Aeroscraft is that, as a vertical-takeoff-and-landing (VTOL) craft, it requires no runway. "You can land on the snow or you can land on the water," says designer Igor Pasternak. "It's a new vision of what can be done in the air." 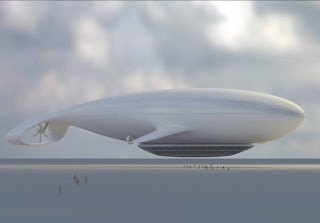 Unlike its dirigible ancestors, the Aeroscraft is not lighter than air. Its 400000 cubic metres of helium only hoist two-thirds of the craft's weight. The rigid and surprisingly aerodynamic body-driven by huge aft propellers generates enough lift to keep the mammoth airship and its 400 tonne payload aloft while cruising. During takeoff and landing, six turbofan jet engines assist. 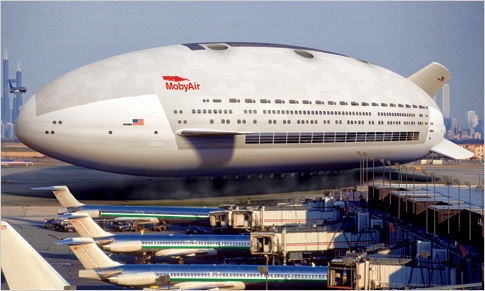 Not surprisingly, cruise companies have expressed an interest in this concept which is tantalisingly close to realisation, however the company is likely to gain initial sales from heavy lift cargo and military applications before any luxury cruising airships appear. Notwithstanding, the move to more responsible, relaxed travel is growing and airships consume a fraction of the fuel and produce a similarly meagre carbon by-product, it is only a matter of time before these graceful giants reappear above us.